It can be very frustrating to look at our flat exterior surfaces without wonder how they can be cleaned without breaking or cracking them. Dirt, mold and oil deposits on flat surfaces can easily be taken off through power washing from Cavalier Window Cleaning & Power Washing. 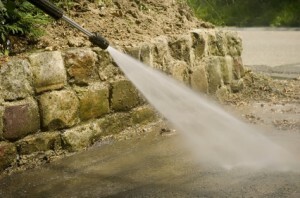 Flat Surfaces Power washing can be one of the most effective solutions for the exterior. That accumulated dirt and grime that’s been on your surface for years can be removed instantly. Wood is tough because it’s hard to keep clean. Unless it is treated, wood will start to warp, crack and peel over time. As grime builds up, the wood has a bigger chance of becoming dilapidated. Power washing wood can be very rewarding. Brick driveways and pathways are prone to getting dirty. Brick looks nice, but brick also can get moldy and develop algae buildup. If you’re having a problem with your flat surface brick, please call Cavalier Window Cleaning & Power Washing in order to maintain the cleanliness of your exterior. Power washing will take that top layer of grime off your bricks. Now you can follow the yellow brick road with ease whenever you hire Cavalier Window Cleaning & Power Washing for flat surface brick power washing. You’ll feel much better knowing that your exterior now has more curb appeal. One thing that a lot of exteriors lack is appearance. Many homeowners tend to ignore the appearance of their outdoors only to worry about them whenever the dirt and grime becomes too hard to handle. For better results, call Cavalier Window Cleaning & Power Washing. Your home and the exterior is what you need to keep maintained in order to keep up with the appearance. Appearance is everything when it comes to some neighborhoods. Actually in some neighborhoods it is mandatory to keep the appearance up of the exterior. When it comes to reselling the home, there is no better way to spruce up the exterior than having it power washed. It will remove years of grime and make it more presentable to future buyers. In order to have your Charlottesville exterior power washed, you’ll need to call Cavalier Window Cleaning & Power Washing. We’re locally owned and professional. Your experience will always be a positive one whenever you come to us. 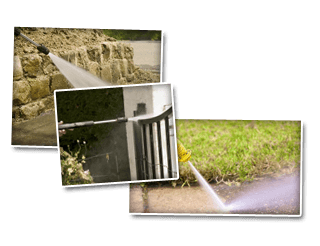 If you are looking for Flat Surfaces Power Washing then please call 434-823-1737 or 540-910-1434 or complete our online request form.